With social media to help you step up your brand value and grow your business, getting your business noticed is certainly not too challenging, especially if you have the secret ingredient. What exactly is that? You must be wondering. Well, quality images of course. Plain text, that is otherwise engaging, might not get you as many visitors as content supported by interactive images. Humans tend to interact much better with visually attractive imagery on the internet, which is why brands nowadays focus on augmenting their promotional content by using dynamic images like infographics, pictures, logos, and graphical content to grab the visitor’s attention. As per studies, 93% of all communication is actually visual. People tend to bond better with visual content and process it with more efficiency. With a variety of image editing tools for Android, Mac, iOS, and Windows, creating stunning images for social media has become a common practice. Check out this site to see an awesome Mac photo editing tool. If you want your brand to stand out from the rest, it is vital to use high-quality imagery that perfectly highlights your merchandise and offerings. Sites like Facebook, LinkedIn, Instagram and Twitter thrive on top quality images that are engaging as well as appealing. The human brain receives two-thirds of all stimuli with the visual system and imagery is generally processed by your cognitive system 60,000 times quicker than plain text. You will notice and stop at an image, a graph, picture or infographic while scrolling through your newsfeed more often than just pallid textual content. Most companies make use of personalized videos and interactive images in customer engagement strategies to boost their sales and connect with their audience and potential customers. The human brain naturally has a proclivity to prioritize images and attractive visual content. Marketing infographics is an ideal example of how brands today are using high-quality imagery to jack up their brand awareness. Graphics help overcome the short attention-span obstacle and get more visitors. When it comes to stepping up your brand awareness, nothing works as brilliant as vibrant images tailored to project your company’s products and services. Graphics on an FB page are more likely to attract potential customers than a blog or text post without any imagery. 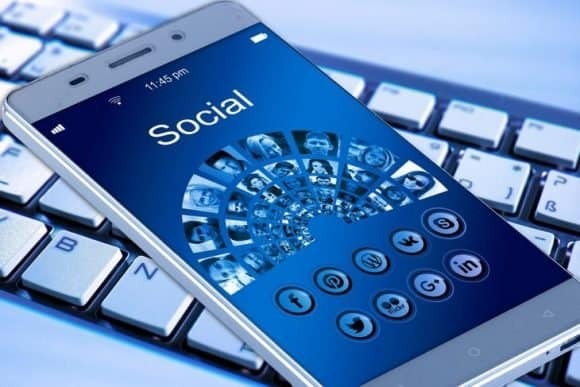 It is the prime reason that sites like Instagram, YouTube, Facebook, and Twitter have become popular promotional hubs for small and large-scale enterprises. Your visitors are more attracted to colorful posts that help portray your paradigm through pictorial visuals in the most effective manner. People tend to relate to these better and process them quicker to develop awareness and an affinity toward your brand. A Facebook/LinkedIn post with images would get more people to read the content. As per studies, image-rich social media posts get 94% more engagement and page visits compared to those without visual content. With a good quality picture or image, you can easily get your idea across effectively, clearly disseminating your thoughts and perceptions. This is noticeable through the number of comments and the user engagement such posts entail. How many visitors are you likely to get with an FB profile that does not contain lively images reflecting your brand’s strengths and offerings? Brand profiles are leveraged through high-quality relevant imagery, which in turn helps grab the user’s attention. Such interactive profiles also help people make up their minds quickly about a certain product or service. Almost 67% of consumers perceive a clear, vibrant image as reliable and important. Graphic design: Why Not Kickstart Your New Career Today? Previous post: Could Your Tech Business Be Eligible For PPI Compensation? 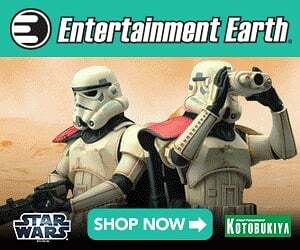 The next time you decide to order the hottest new Star Wars "figurine" we write about, check out Sideshow Collectables or Entertainment Earth. Loot Crate is also a fantastic service! We get a small commission on each sale, which helps cover server costs and the occasional beer. Copyright © 2010 – 2019 GeekExtreme.com. All Rights Reserved.